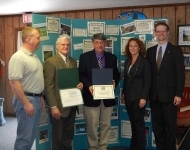 October 20, 2014 – Senator Hutchinson attended an event to announce an Early Childhood Education Community Innovation Zone Grant awarded to Child Development Centers, Inc. (CDC, Inc.) of Venango County. 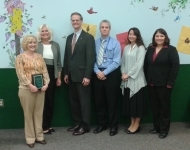 Also attending were (from left) Rina Nerlich, Executive Director of CDC, Inc.; Barbara Minzenberg, Deputy Secretary for the Office of Child Development and Early Learning; Patrick Gavin, Superintendent of Oil City School District; Elana Como, Director of Northwest Regional Key; Maria Vaughn, certified school psychologist with CDC, Inc.; and Kim Scott, Rep. Lee James’ office (not pictured). 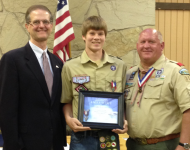 September 27, 2014 - Senator Hutchinson joined Congressman GT Thompson in recognizing Christopher Deal’s Eagle Scout achievement. 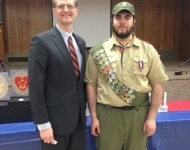 Chris is a member of Troop 61 in Corsica. 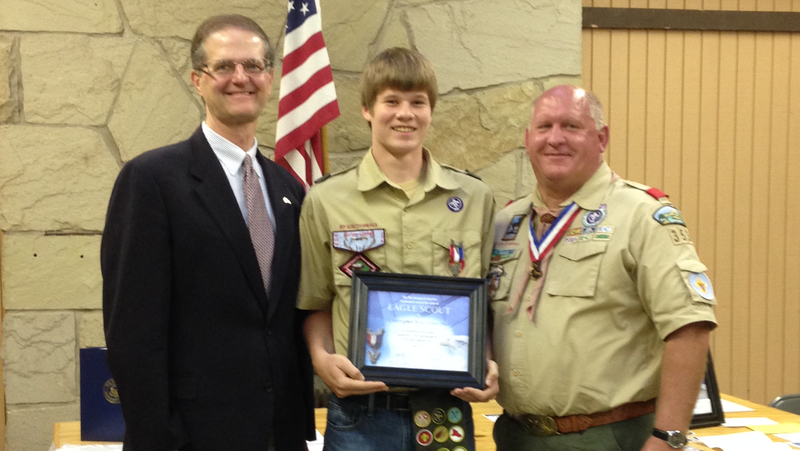 For his Eagle Scout project he constructed a picnic table for the Clarion-Limestone Area School District. 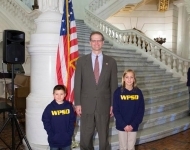 September 23, 2014 - Senator Hutchinson met with Blake and Jenna, both from Butler County and both students at the Western Pennsylvania School for the Deaf, who were visiting the state Capitol with their teachers and classmates. 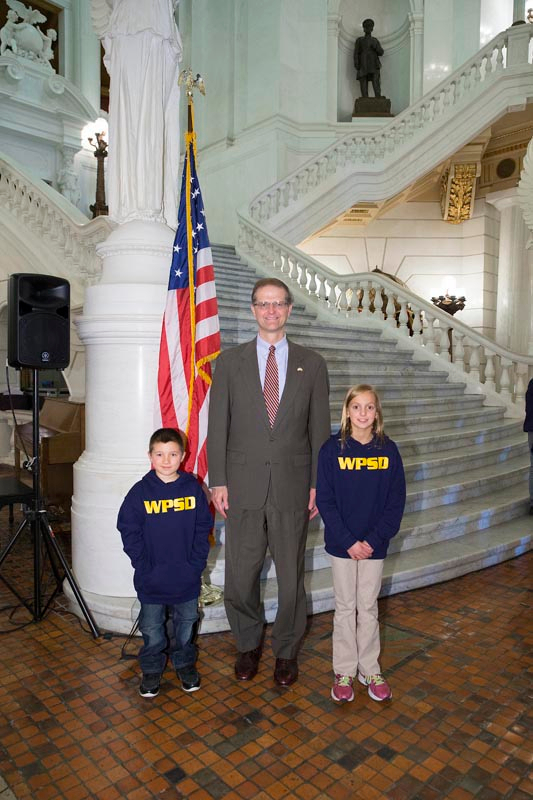 Founded in 1869, WPSD is a non-profit, tuition-free school that provides academic and extracurricular programs to deaf and hard of hearing children from birth through twelfth grade. 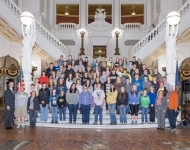 September 23, 2014 – Senator Hutchinson joined Representative Kathy Rapp in welcoming students from Tidioute Community Charter School to the state Capitol. 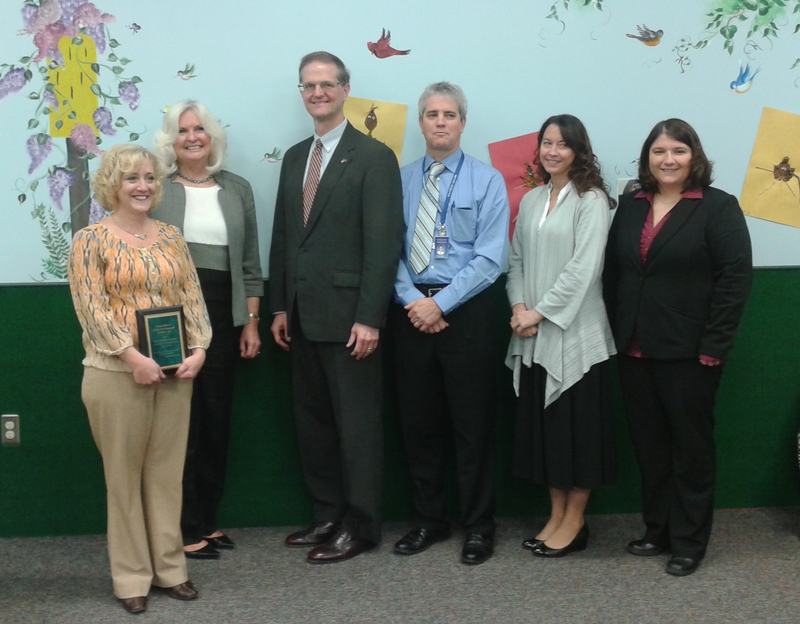 Last year Tidioute Community Charter School was nationally recognized by the U.S. Secretary of Education as a Blue Ribbon School for its students’ achievement and overall academic excellence. 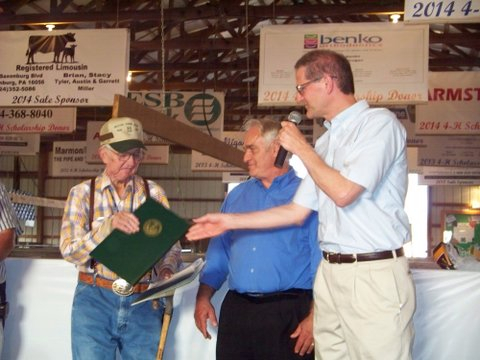 August 8, 2014 - Senator Hutchinson joined Secretary of Agriculture George Greig in recognizing Elmer Colteryahn as the 2014 Outstanding Fair Ambassador for his many contributions to the Butler Farm Show. 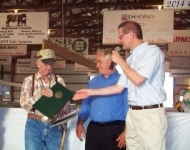 Mr. Colteryahn has served on the Butler Farm Show’s Board of Directors for 40 years and was instrumental in establishing its Junior Board to encourage future generations of fair and agriculture leadership. 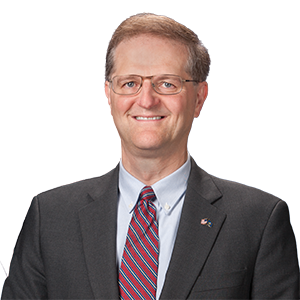 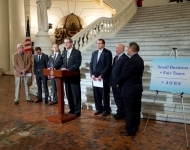 June 14, 2014 - Senator Hutchinson joined Representative Kathy Rapp in hosting a seminar to discuss Pennsylvania’s concealed carry permit application process. Also participating (from left), Warren County District Attorney Rob Greene; Forest County District Attorney Elizabeth Ziegler; Representative Rapp; Forest County Sheriff Robert Wolfgang; and Warren County Sheriff Ken Klakamp. 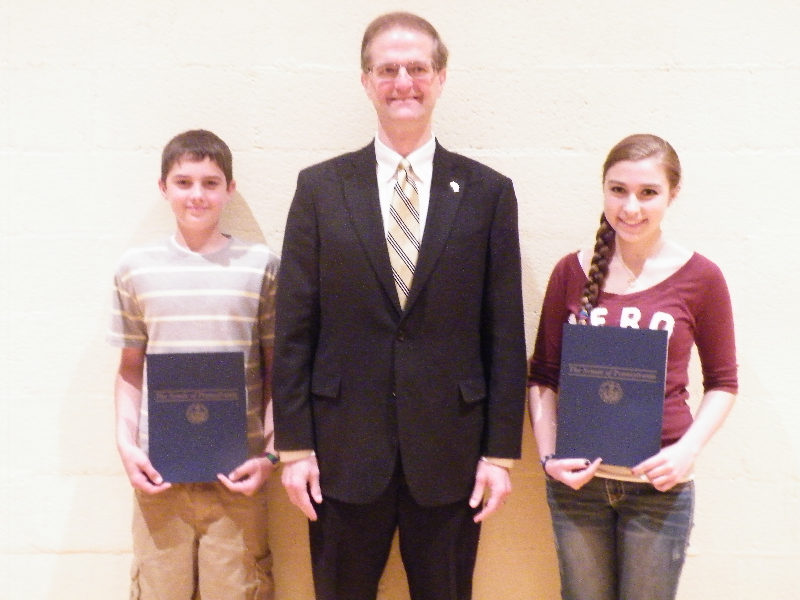 May 21, 2014 - Senator Hutchinson presented Good Citizenship Awards to Alex and Kera, both students at North Clarion County Elementary School. 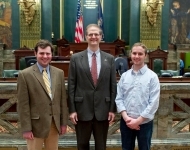 They were selected by faculty for outstanding student achievement, leadership skills and service to others. 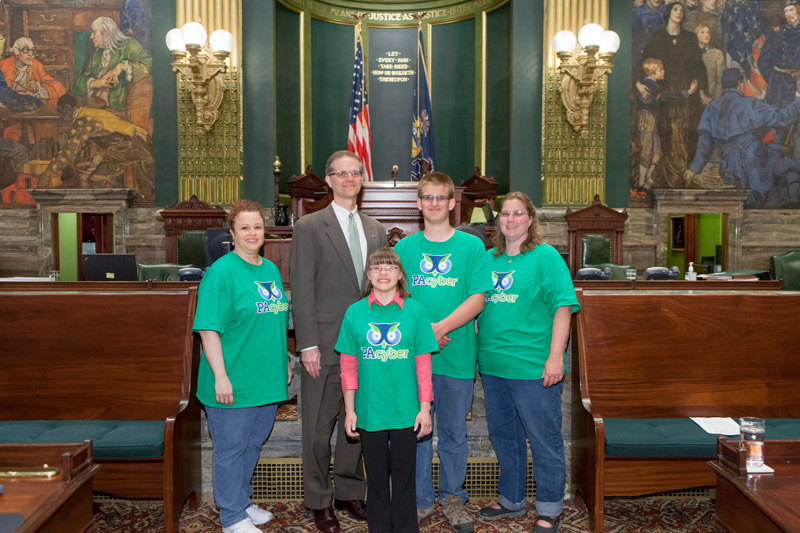 May 7, 2014 – Senator Hutchinson met with the Riddle family of Kennerdell, Venango County, who were visiting the state Capitol for PA Cyber’s Day on the Hill. 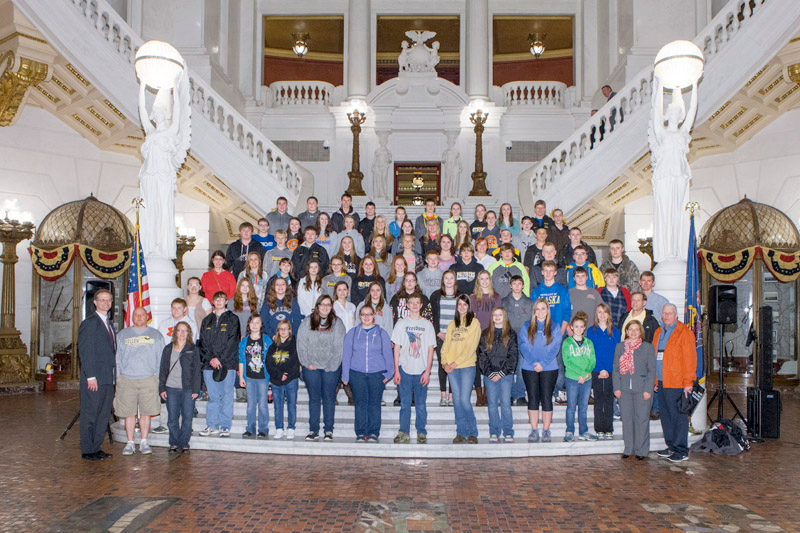 April 30, 2014 – Senator Hutchinson and Representative Oberlander greeted 9th graders from Keystone High School when they visited the state Capitol. 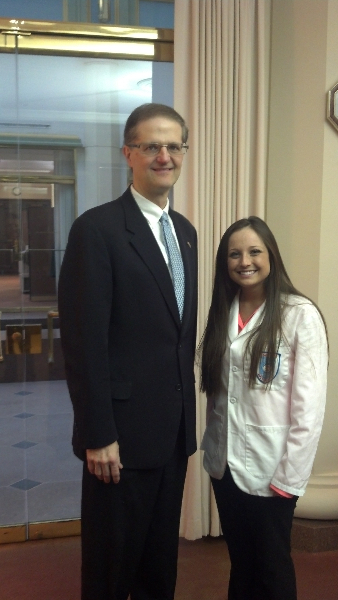 April 28, 2014 – Senator Hutchinson met with Miss Pennsylvania 2013, Annie Rosellini of Butler. 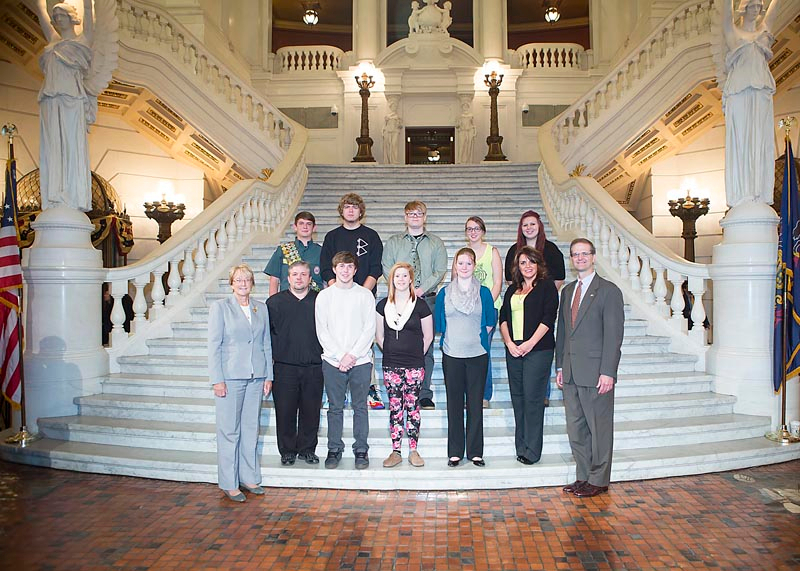 Annie was at the capitol with the American Heart Association to raise awareness about congenital heart defects. 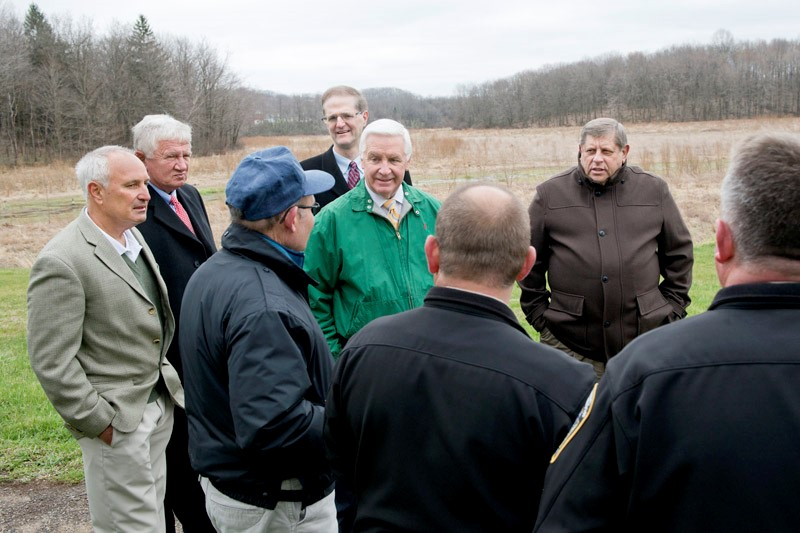 April 23, 2014 – Senator Hutchinson attended a meeting at the site of Glade Run Lake where Governor Corbett announced state funding to help restore the dam and refill the lake. 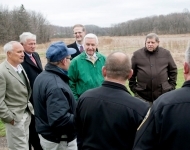 Also pictured from left are Siggy Pehel, President of the Glade Run Lake Conservancy; Senator Don White; John Arway, Executive Director of the Fish & Boat Commission; Governor Corbett; and Senator Randy Vulakovich. 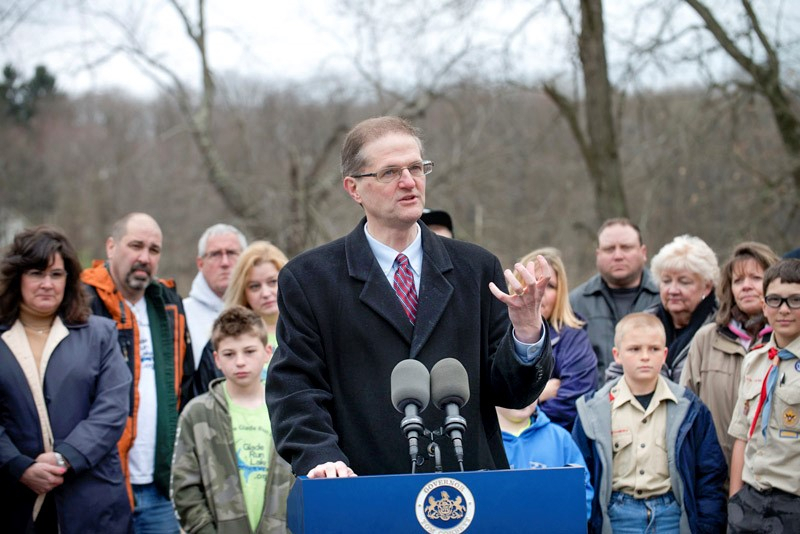 April 23, 2014 – Senator Hutchinson spoke to local residents during the announcement of state funding to restore Glade Run Lake in Butler County. 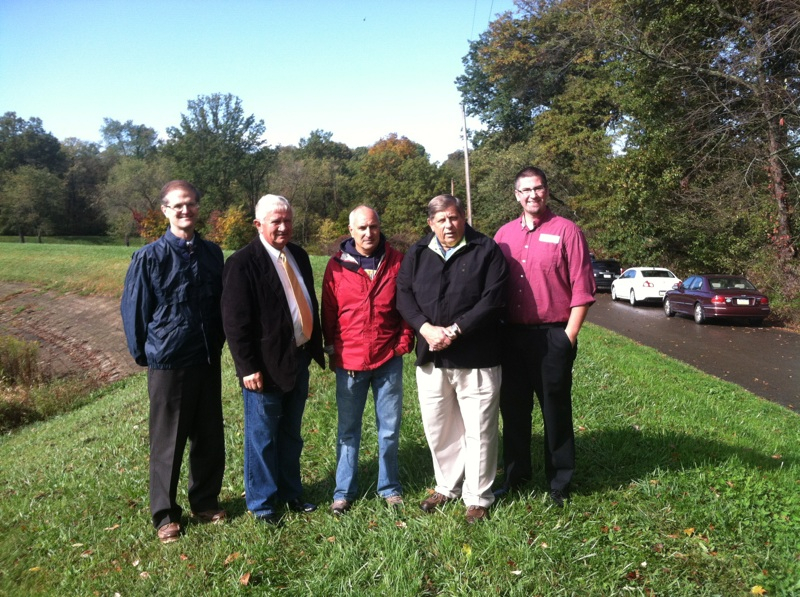 April 22, 2014 - Senators Scott Hutchinson, Don White and Randy Vulakovich and Neil Converoy from Representative Brian Ellis’s office visited Glade Run Lake last fall with Siggy Pehel, (center in red jacket) president of the Glade Run Lake Conservancy, to discuss the state’s role in assisting the Conservancy in its efforts to restore the lake. 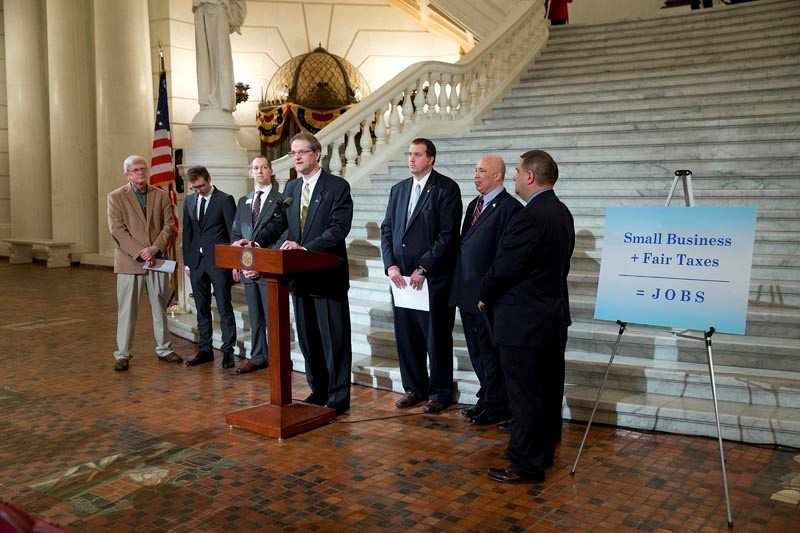 April 15, 2014 - Senator Hutchinson announced plans to introduce a bill to help Pennsylvania’s small businesses during a press conference in the state Capitol. 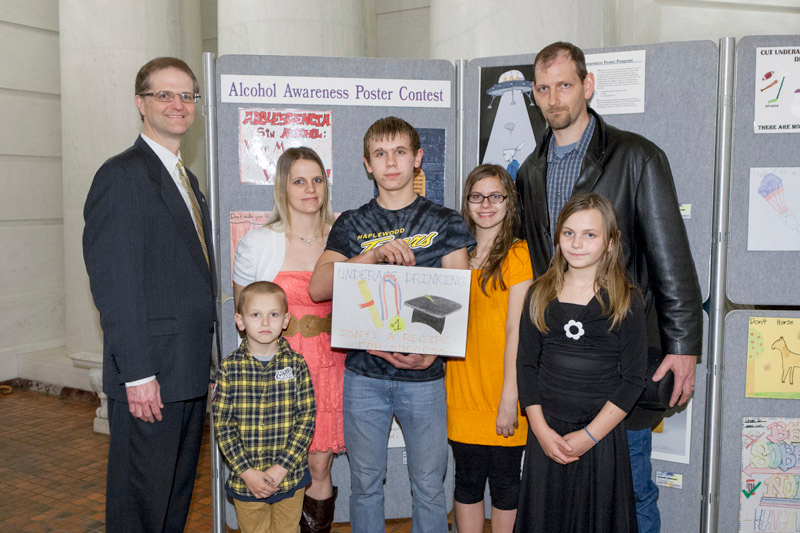 April 15, 2014 – Senator Hutchinson met with Austin Shaw (center) and his family, residents of Venango County, at a ceremony at the capitol where Austin was recognized by the Pennsylvania Liquor Control Board for his award-winning Alcohol Awareness artwork. 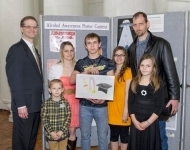 Also pictured from left are Austin’s brother, Derek; mother Jamie; sister Rebecca; father Devlin; and sister Misty. 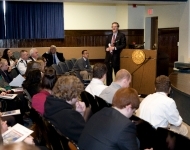 April 8, 2014 – Senator Hutchinson met with faculty, trustees and students from Clarion University to discuss funding and legislation important to the Pennsylvania State System of Higher Education. 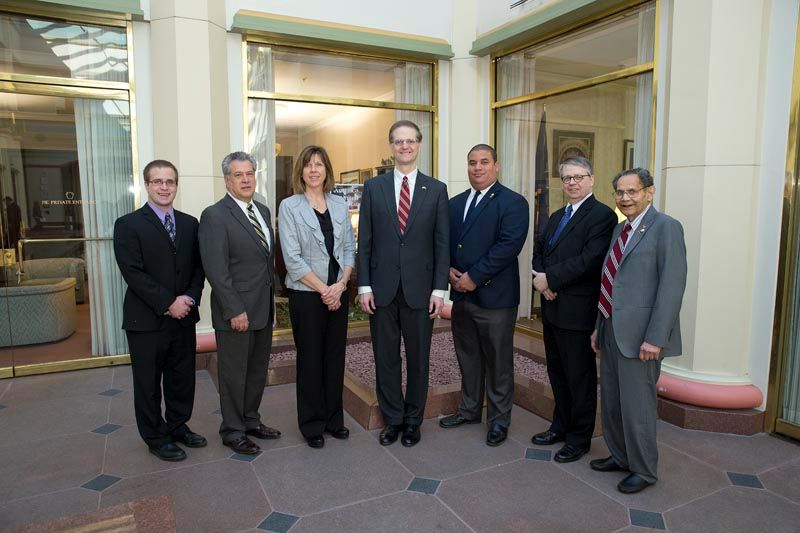 Pictured from left are Todd Garrett, Student Senate President and incoming student on the PASSHE Board of Governors; Dr. Ronald Nowaczyk, Provost and Vice President for Academic Affairs; Milissa Bauer, Trustee; Darren Young, student member of the Council of Trustees; David Bailey, Alumni Association President; and Dr. Syed Ali-Zaidi, Trustee. 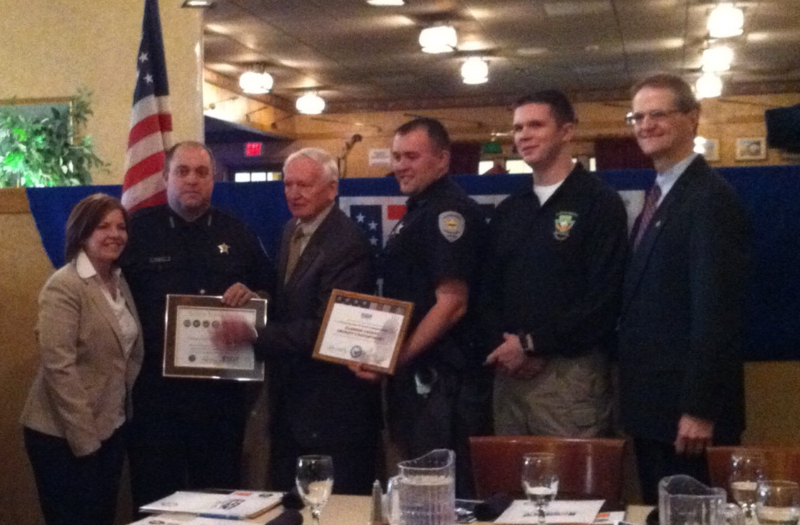 April 3, 2014 - Senator Hutchinson attended a ceremony honoring Clarion County Sheriff Rex Munsee on receiving the Employer Support of Guard and Reserve Program’s (ESGR) Seven Seals Award, which was presented in recognition of his support of employees serving in the National Guard and Reserve. 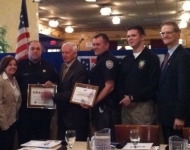 Pictured from left are Rep. Donna Oberlander; Fred Fair, ESGR; Sheriff Rex Munsee; Deputy Sheriff Tom Lawton; Deputy Sheriff Timothy Bish; and Senator Hutchinson. 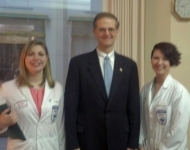 April 2, 2014 - Senator Hutchinson met with Meghan Cratty of Emlenton and Mariah Corso of Butler, both students at Duquesne University’s Mylan School of Pharmacy, to discuss issues important to pharmacists and patients. 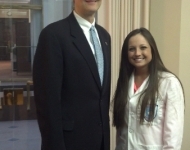 April 2, 2014 – Senator Hutchinson met with Nicholle Polczynski of Butler, a student at Duquesne University’s Mylan School of Pharmacy, to discuss issues important to pharmacists and patients. 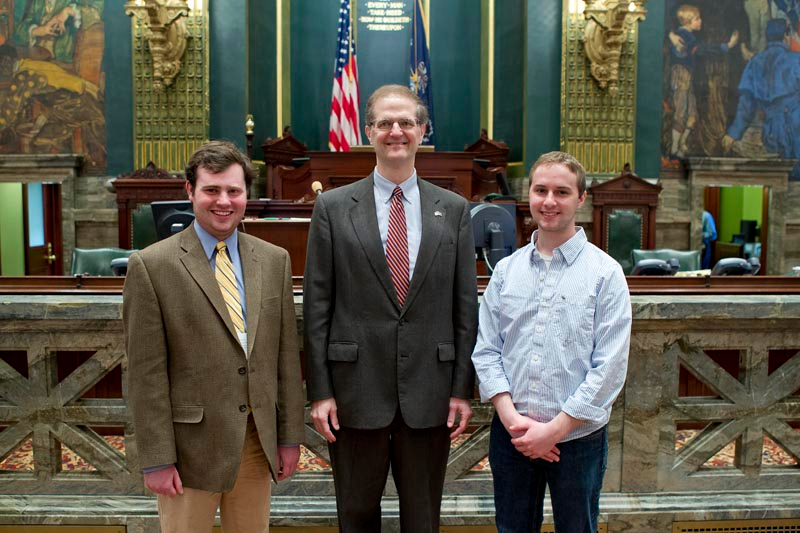 April 1, 2014 – Senator Hutchinson met with students John Wortman of Warren and Zach Longstretch of Meadville to discuss their undergraduate studies at Penn State University. 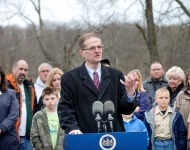 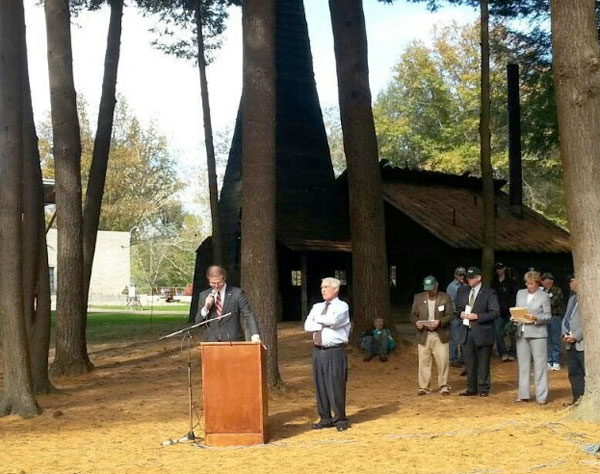 Senator Scott Hutchinson (left) joined with his colleague Senator Bob Robbins at an October 2013 press conference at the Drake Well Museum in Titusville to promote Pennsylvania’s conventional oil production industry. 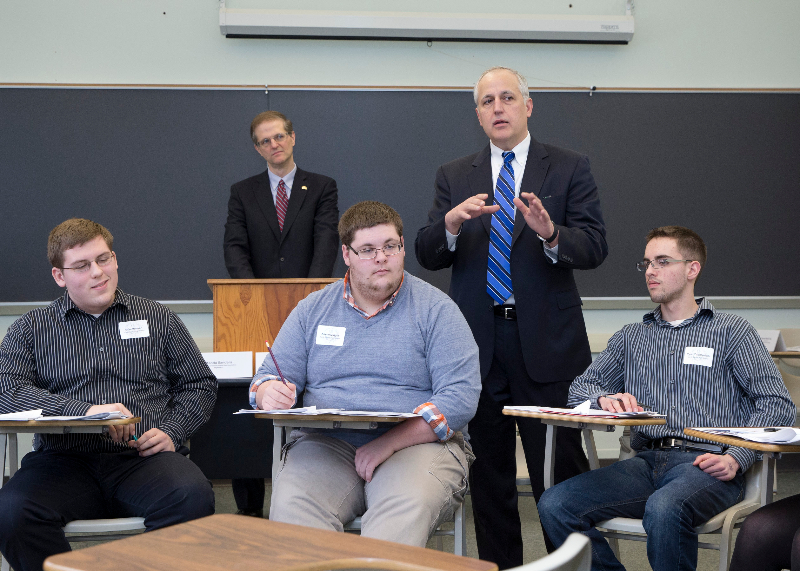 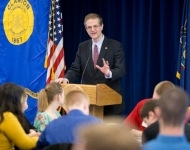 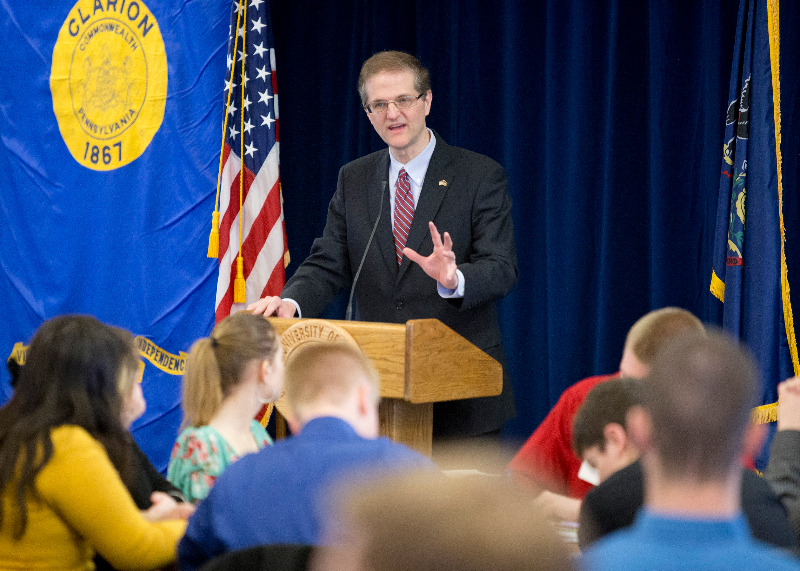 March 20, 2014 - Senator Scott Hutchinson discusses the legislative process with students from around the 21st Senatorial District during his Student Government Seminar held March 20 at Clarion University. 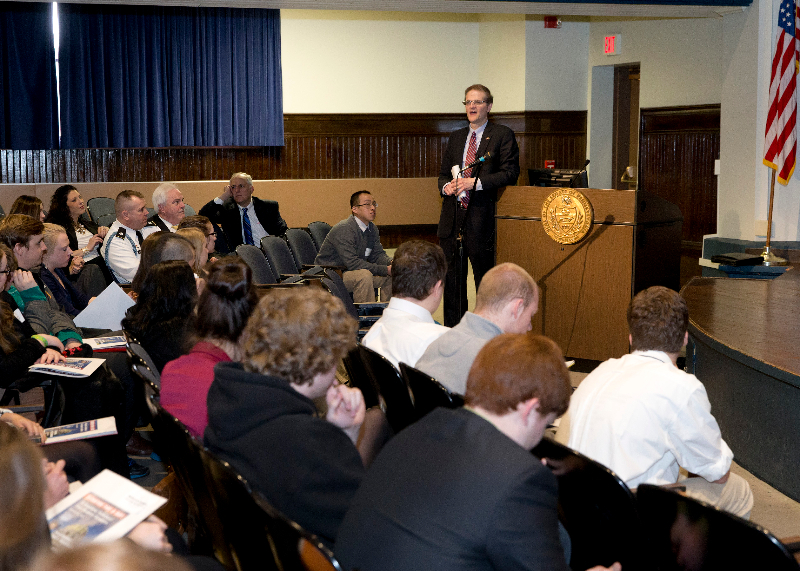 March 20, 2014 - Pennsylvania State Senate Majority Leader Dominic Pileggi discusses the role of the Senate’s standing committees during Senator Hutchinson’s Student Government Seminar. 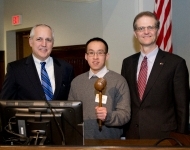 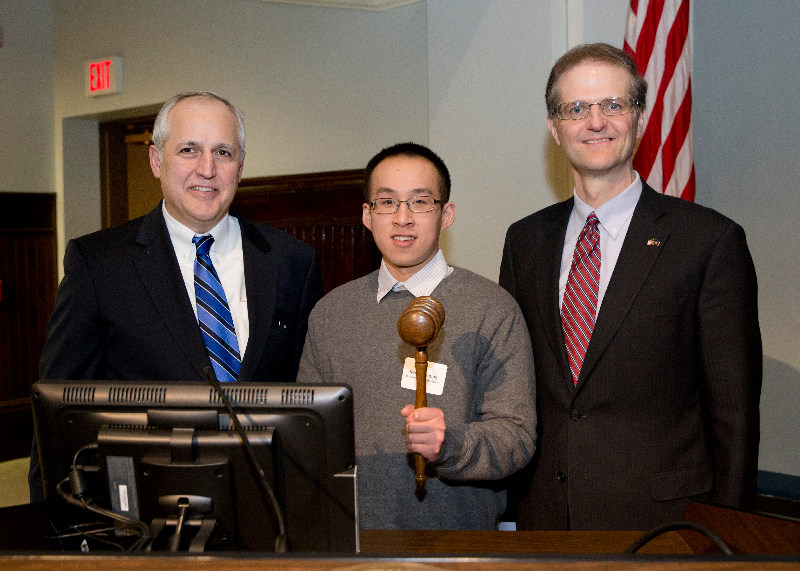 March 20, 2014 - Senate Majority Leader Dominic Pileggi and Senator Scott Hutchinson recognize Kevin Cheung, a student at Cranberry High School, for his service as Senate President during Senator Hutchinson’s Student Government Seminar. 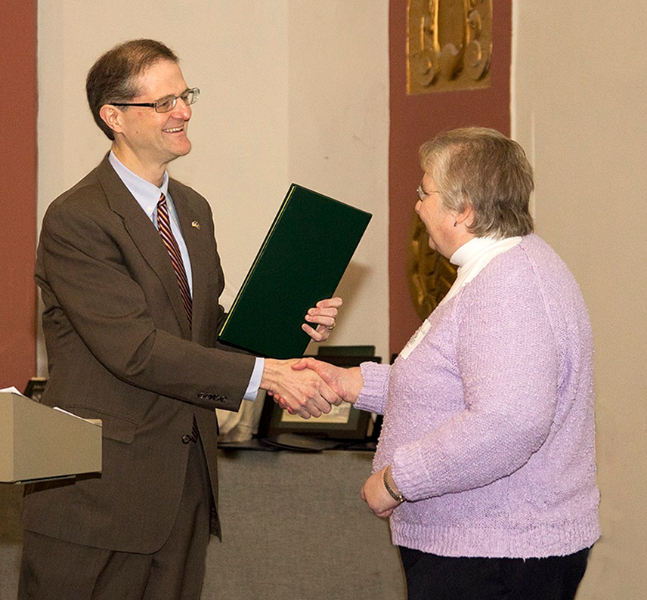 February 27, 2014 - Senator Hutchinson presented Betsy Kellner with a citation recognizing her achievement of being named the Oil Region Alliance’s 2013 Volunteer of the Year. 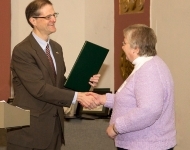 Betsy was chosen for this distinction because of her commitment to community service and regional economic development. 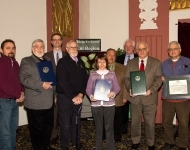 February 27, 2014 - Senator Hutchinson presented officials from Cornplanter Township, Venango County with a citation recognizing the Township’s assistance and support for expanding the Erie to Pittsburgh Trail, and especially the McClintock Trail segment. 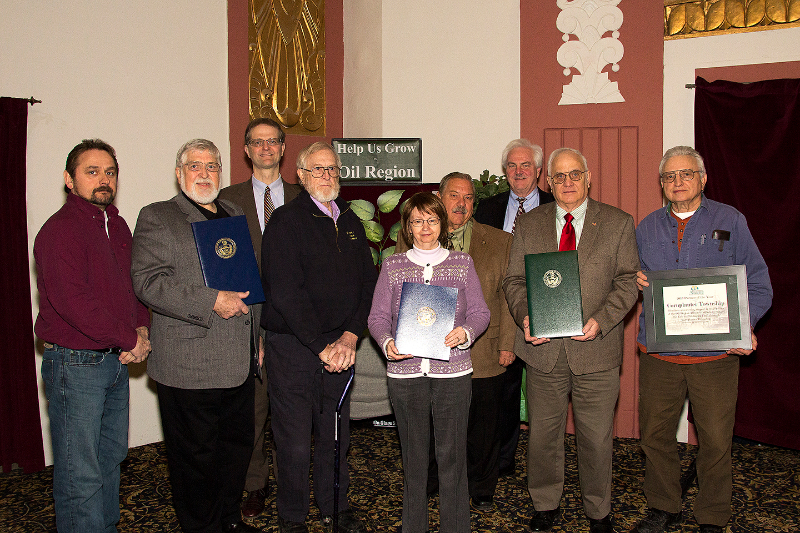 Cornplanter Township was honored as the Oil Region Alliance’s 2013 Partner of the Year. 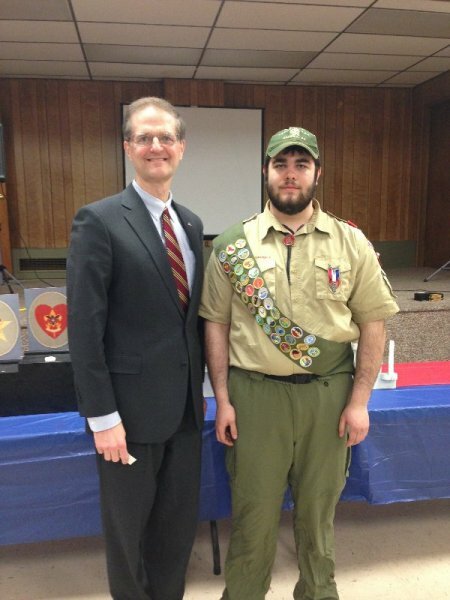 February 26, 2014 - Senator Hutchinson congratulated Scotty Taylor on achieving the rank of Eagle Scout. 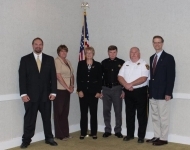 Scotty is a member of Troop 111, which is sponsored by the Cranberry Area Lions Club and the Seneca Volunteer Fire Department. 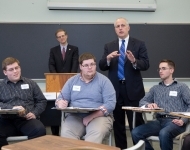 February 21, 2014 - Senator Hutchinson participated in an open house for the new Northwest Pennsylvania Innovation Support Program at the Clarion University Barnes Center at Trinity Point. 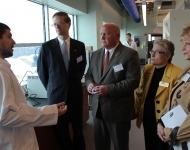 The program will support research and development efforts by small businesses and entrepreneurs in the biotech, nanotech, manufacturing and pharmaceutical technology industries. 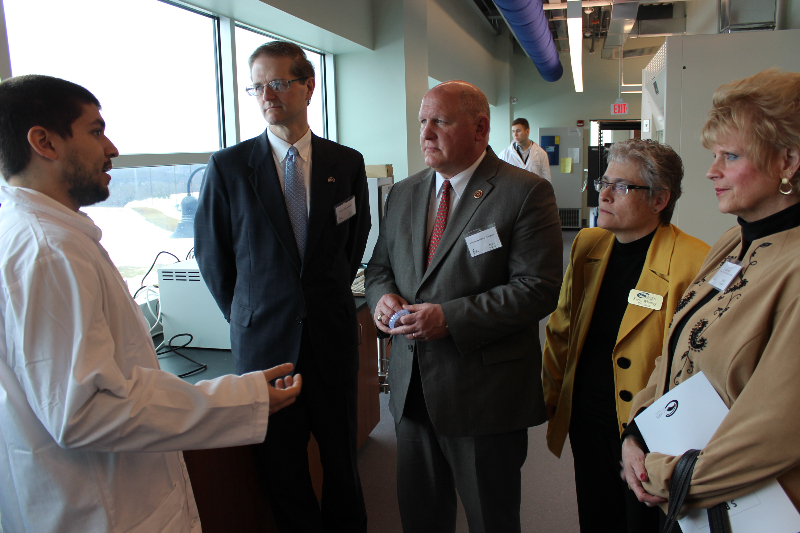 Also pictured are Congressman Glenn Thompson; Clarion University President Karen Whitney; and Colleen Stuart, CEO of the Venango Training and Development Center. 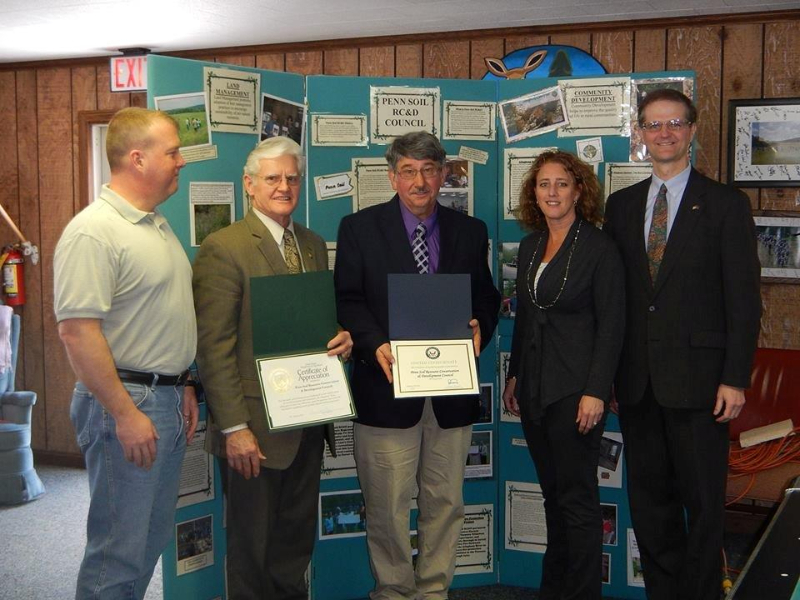 February 19, 2014 - Senator Hutchinson participated in an event celebrating the 50th Anniversary of the Penn Soil Resource Conservation and Development Council at Two Mile Run County Park in Franklin. 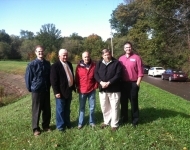 Also pictured are Nathan Welker of the U.S. Forest Service; Jack Preston, Penn Soil RC&D Chairman; Wes Ramsey, Penn Soil RC&D Executive Director; and Sheila Sterrett of U.S. 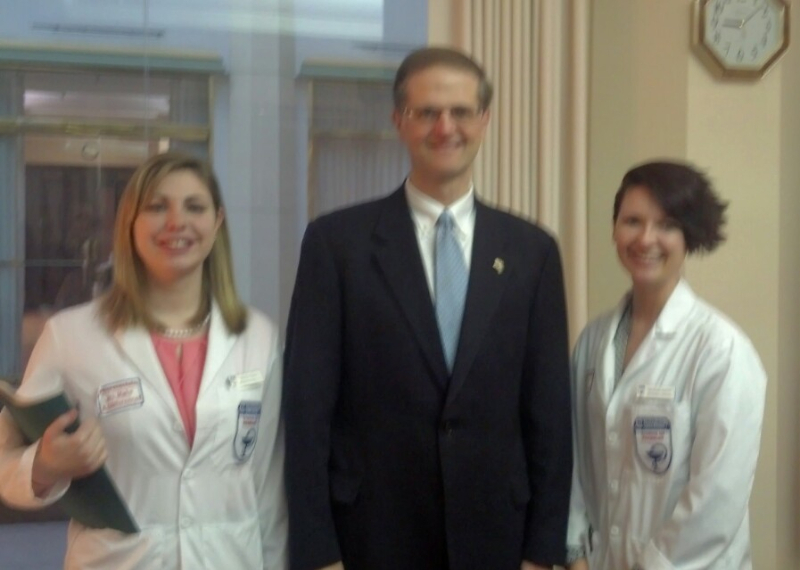 Senator Pat Toomey’s office. 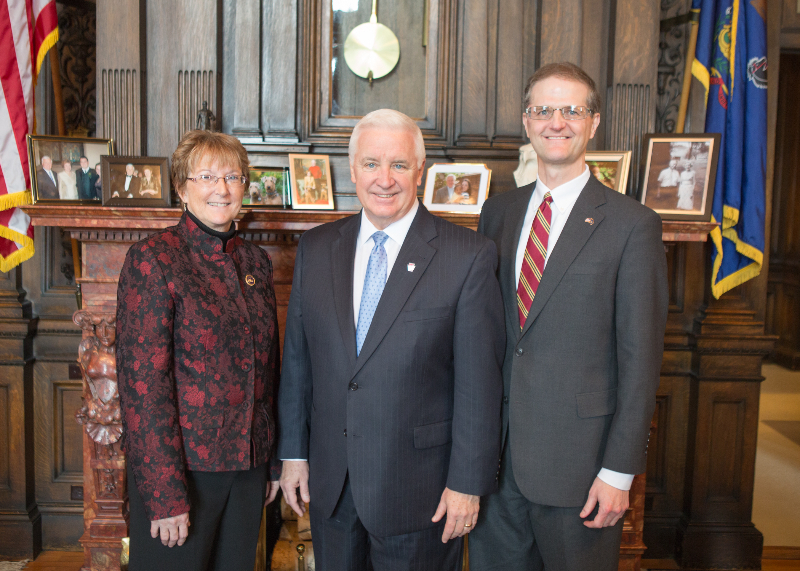 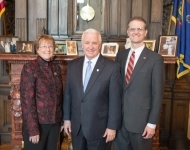 February 4, 2014 - /Representative Kathy Rapp and Senator Scott Hutchinson had the privilege of escorting Governor Tom Corbett to the House of Representatives to deliver his 2014-15 budget address. 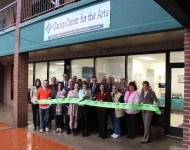 January 11, 2014 – Senator Hutchinson participated in a ribbon cutting at the grand opening of the Clarion Center for the Arts. 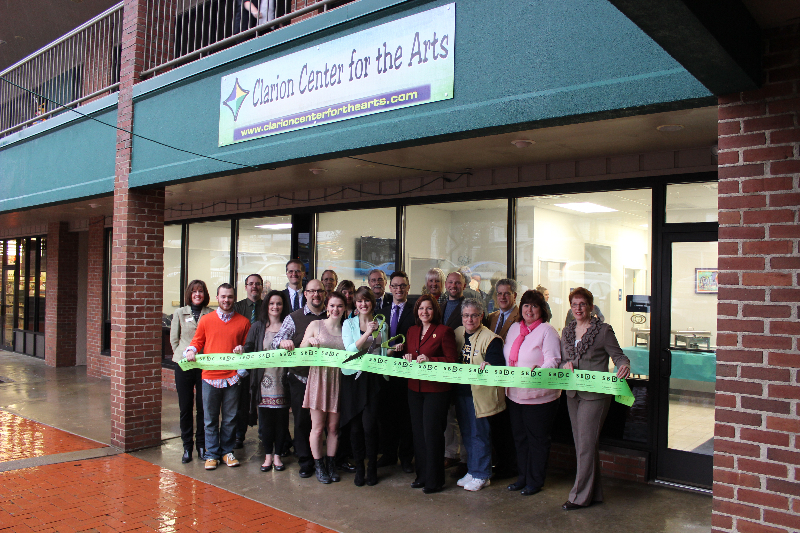 The business owner worked closely with the Clarion University Small Business Development Center (SBDC) to establish a business plan and make her dream a reality.